As technology continues to evolve and transform traditional methods of communication to all things digital, we see a change in how information is disseminated to the public in a variety of ways. One of which includes the use of digital magazines. You may also see e-magazine examples. 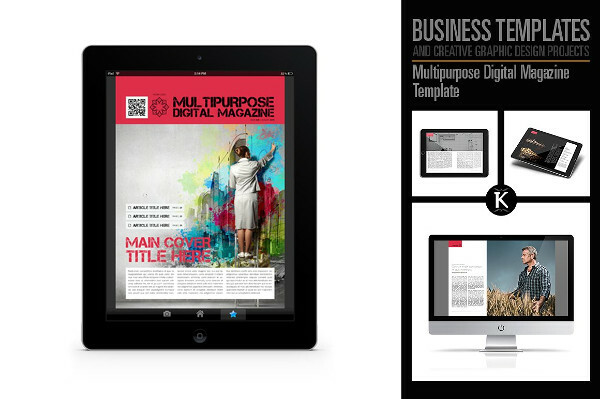 Creating a digital magazine is a good move for nearly any type of business. But then again, this would depend on the kind of industry you are in as well as the message you want to convey. Deciding whether a digital magazine would be a practical option or not may involve different factors, including costs and revenue. Fortunately, there are many benefits that come with using a digital magazine. So in this article, let’s take a closer look into what digital magazines are and how they are made. You may also see company magazine examples. 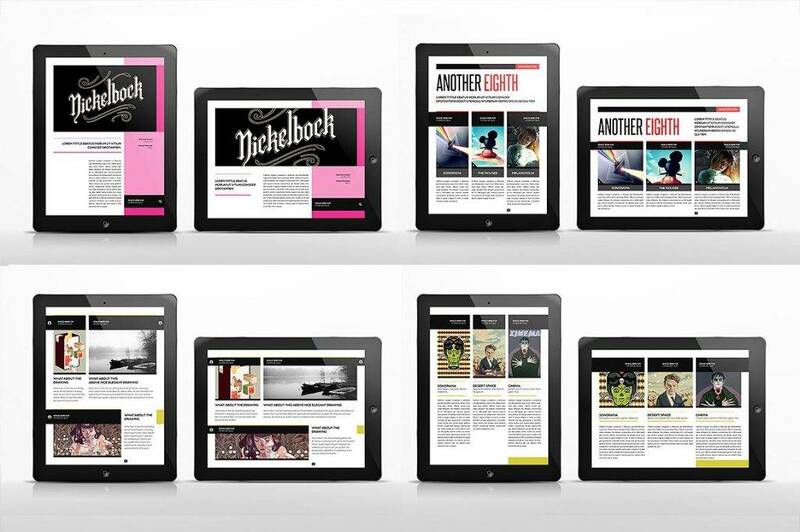 Digital Magazines: App or Not to App? 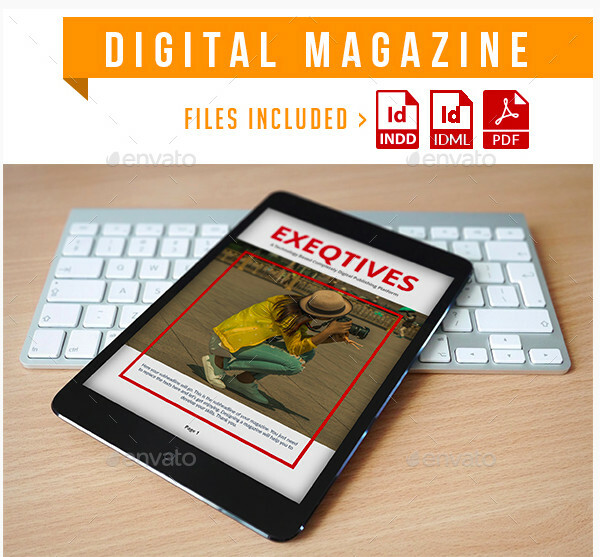 Digital magazines are the perfect multifunctional, front-end product for a business to use. But because they come in different forms, the core decision you’ll need to make is to choose between using a magazine app or not. Apart from website articles and blogs, using a digital magazine will make it easier for you to share important information about your company, along with its products or services, for prospects to learn about. You may also see luxury lifestyle magazine examples. There’s always the option of hosting your magazine on the web, like how countless magazines do. It’s easy, and it doesn’t require much work, especially when you provide a downloadable digital magazine in PDF or ePub form. But when it comes to providing a better user experience, there’s something cool about being able to flip through different pages of the magazine on your iPad or tablet, anywhere and anytime. It creates an experience that’s not only convenient to users but also great for delivering information in a more modern approach. You may also see digital marketing trends. Though some companies center on creating magazines as part of their primary service offer, other companies have simply joined in on the bandwagon as a means of widening their market reach. In such cases, it’s likely that your company already has an app for customers to use. Adding a digital magazine to your list of offers will allow you to feature new product releases, upcoming launches, and other news clippings about your business in a structured manner. This allows you to showcase the identity of your brand in such a way that is just as informative as it is attractive. You may also see digital marketing strategies. But if you have yet to establish your brand, it’s best to start with a web-based digital magazine before you invest in an actual app. This way, you can measure the success of your magazine according to the number of clicks and reads it generates, and if it receives the amount of attention you hoped it would, then you can give the go signal to put your app on the works. Given how digital magazines have become increasingly popular in recent years, do print magazines still have a place in today’s publishing world? Is there a battle between the two? Or do they simply exist to coexist with one another? Some companies don’t see it as a war of print versus digital and would rather use the two options as official publications. But for businesses that have to decide between the two due to various financial reasons, tallying your points on each scoreboard might be necessary. You may also see brochure examples. Paper-based magazines are typically printed, distributed, and sold by newsagents as part of their sales cycle. But to undergo these processes, you have to incur a cost. It’s even worse when you’re forced to deal with unsold copies of the magazine, as there’s no telling whether a particular issue would generate the same number of sales as those in the previous months. You may also see digital banners. On the contrary, digital magazines allow publishers to distribute copies of their publication through a reliable platform: the web. This way, you don’t have to worry about paying for the commercial mediation of suppliers and sellers. You can make your magazine available to readers for free for a limited time offer, or you can have customers subscribe to your email list for a certain fee so that they could receive your magazine on a monthly or bimonthly basis, or as soon as they’re made available. You may also see bi-fold brochure design. However, take note that changes in this business model does require an investment. It’s best to begin with a slow transition. You might gather enough funds by cutting on distribution costs to spend it on a new software and the formation of your staff. Though you might not see an ROI anytime soon, if done correctly, you’ll realize that the investment was definitely worth it. You may also see advertising brochure examples. As if not having to pay distributors anymore wasn’t enough, digital magazines offer you the opportunity for global circulation—a plus for publishers who want to reach out to a wider market! The great thing about online publications is that there are no geographical barriers or state borders to worry about. Every issue of your magazine can be bought by potentially anyone from across the globe. This is a common issue that local publishers have had with print magazines, as it won’t be until a few weeks for a monthly copy of the magazine to arrive in another region. In most cases, they can be slightly pricier than normal due to logistics costs as well. You may also see event brochure examples. Notice how quickly a video, photo, or article can go viral once posted online? The same goes for a digital magazine! Many companies have learned to exploit social networks in order to gain online exposure, increase their popularity, and reach their target audience. It’s so much easier to take snippets from your magazine articles and share them on social media to gain attention. With the help of a catchy headline and an interesting excerpt, you can pique the interests of readers and encourage them to share, purchase, and read your magazine as desired. Basically, word-of-mouth or referral marketing is the best way to get around the digital world. The likes, comments, and shares generated from social media marketing will help increase your reads and keep people, even those who haven’t heard about your magazine in the first place, fully engrossed. Although print magazines do allow readers to send in their suggestions and feedback via mail, it does involve a slower process that may require readers to pay a certain amount for the letter or postcard to be sent. With digital magazines, however, readers can interact with the company’s journalists and editors, as well as with one another, through comments, likes, and private messages. This gives you the opportunity to see things from a reader’s perspective. You may also see examples of advertising poster design. Having a direct contact with your audience is advantageous in many ways, especially if you want to trigger a dialogue that would keep readers engaged. It could also help you assess whether your magazine is moving in the right direction, in case any necessary changes have to be made to keep your magazine on top of the leaderboard. Print magazines usually have an ad space for advertisers to purchase. It could fill the whole page, or possibly only a portion of it. The only difference between the ads in a print magazine and that of a digital magazine is how they are made. Digital magazine ads are typically interactive in nature, as they have the ability to engage the public with GIFs, digital banners, and other related ads. That’s because the digital world has no room for standard, boring ads that usually annoy readers with the same type of content. Digital magazines also allow you to host ads related to your industry or the topics you deal with to attract the right market. Imagine having to wait for a few hours for a connecting flight to your destination. With the weight of your bags and luggage already slowing you down, buying an overpriced magazine from the airport’s convenience store might be the last thing on your mind. Instead, how about purchasing a digital magazine from your favorite publisher online? You can do this pretty much everywhere. Flipping through the pages of the magazine with a swipe of your finger is certainly more convenient than having to carry an extra baggage of magazines around. It’s even better if the magazine is made available for offline usage, as you wouldn’t have to worry about losing battery from connecting to the internet. You may also see free writing examples. This is for anyone who wants to play a part in the “Going Green” movement. The amount of paper used to create a full shelf of magazines is at a staggering number, so in a simple attempt to put up a fight against paper-waste and deforestation, why not opt for a digital magazine instead? Our world continues to battle a major climate and resource crisis, and every effort to reduce wastefulness will certainly leave a huge impact to the cause. Every innovator should know how important it is to move toward a more eco-friendly business model. This is something that you could do not just for your company’s own benefit, but for the future of our world as well. You may also see examples of advertisement design. 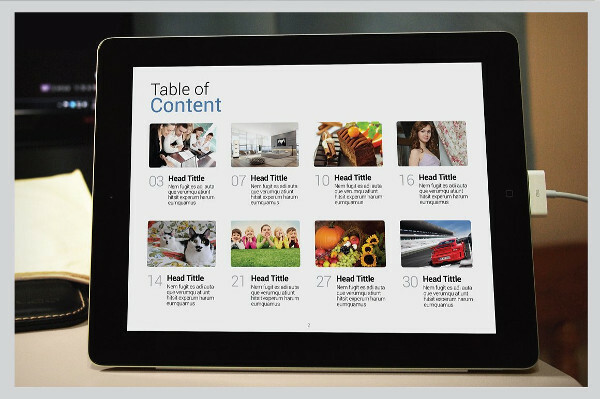 Seeing a standard magazine come to life in your mobile device can be an exciting experience. It portrays the gradual shift of traditional mediums to their digital counterparts, and creating a digital magazine is definitely something that publishers can benefit from in this modern age. You may also see notebook cover designs. 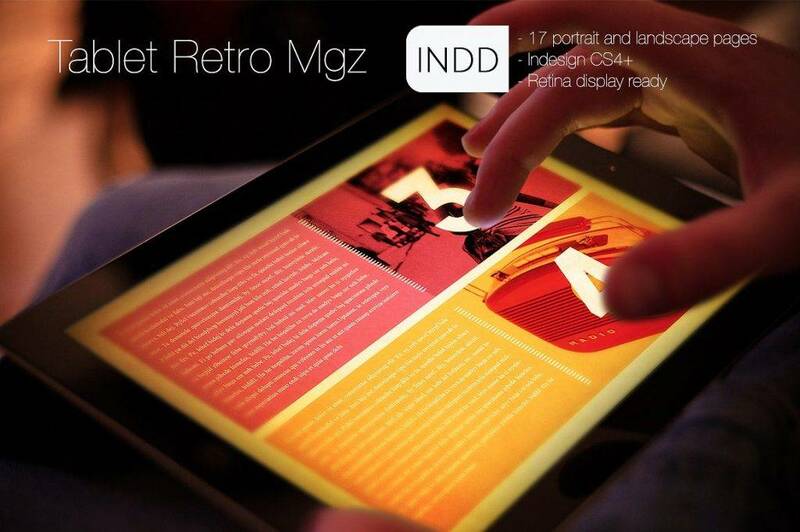 Mobile applications on tablets and smartphones usually allow users to view the magazine in a portrait or landscape mode. The portrait setting can only feature a single page of the magazine onscreen, while the landscape mode can display two pages at a time. Following a 4:3 ratio for each page is highly recommended, as it enables you to use the whole display space accordingly. You can even showcase articles in the magazine issue in a grid style for people to click and be directed to immediately. The great thing about digital advancements is that everything is twice as vibrant as it is on print. This means that the illustrations and photos in your magazine are likely to be more eye-catching than they are on paper. 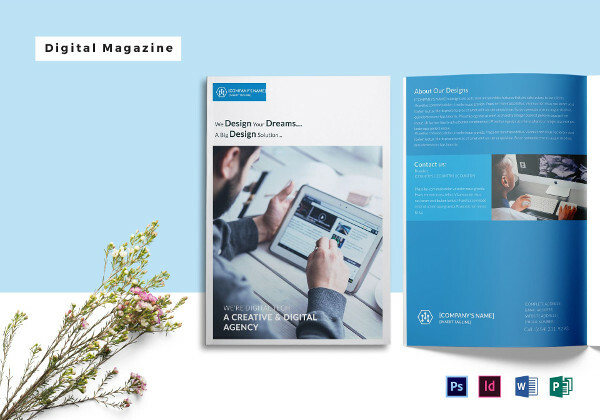 Using high-quality pictures for your digital magazine, specifically the magazine cover, is the perfect way to draw a reader’s attention toward your publication, which will ultimately lead to an increase in sales. But since good quality visuals do come with a hefty price tag, this may seem like a splurge for most young magazines or start-ups. The good news is, there are many websites online that offer quality pictures for you to use without charge. A little credit would go a long way as well, since we all know how underappreciated photographers and designers actually are in their respective fields. You may also see article writing examples for students. One essential rule of any reading material is its readability. The proper use of fonts and typography can also affect the type of tone being used for the magazine. For instance, using comic sans may not be appropriate for a professional magazine. Instead, you might want to go for a 15–25px point size on the web, with a line spacing of about 120–145% of the point size. Avoid using goofy, monospaced, and system fonts, as they can influence the look and feel of your magazine. Only use bold or italics when necessary, like when writing important headlines and subtopics for your articles. You may also see online websites to make your own magazine cover. You may not know this, but web designers and developers work hard to make their website’s response time as quick and smooth as possible. Similarly, you have to make sure that your digital website performs at an excellent rate. A good performing digital magazine can contribute to an impressive user experience, giving your readers their money’s worth. There are different factors that can stimulate the overall sales of your digital magazine. For one, you need to entice people to subscribe to your subscription list for them to receive copies of your magazine regularly. This guarantees loyalty, as subscriptions typically last from a 3-month to a 2-year basis, where longer subscriptions offer magazines at a much cheaper rate. You may also see interior design magazine examples. A competitive pricing model for a subscription is another thing you need to worry about. If your leading competitors offer their magazines at a fairer rate than yours, you must figure out how you could come up with a better deal that’s hard for customers to ignore. Other publishers suggest using magazine previews and free samples to interest customers as well. You may also see real estate magazine designs. So there you have it, this is everything you need to know about digital magazines and how to create a successful one! The most important takeaway that we could give you is to focus on developing a digital magazine that your target audience would actually enjoy. Your magazine design can only do so much, as content tells another story that readers will find the most valuable. 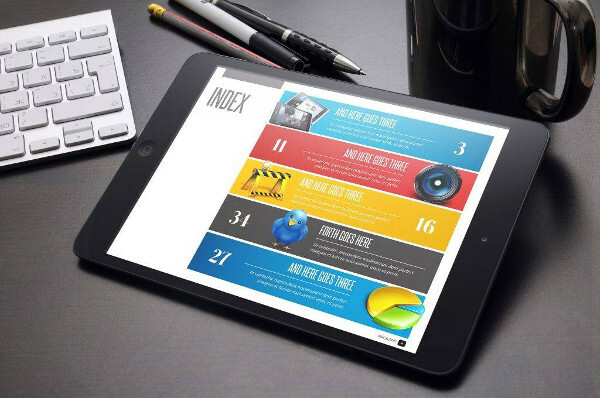 And with the help of these guidelines and examples, you’re sure to create the perfect digital magazine in no time!